I crafted this book review for wider publication. If you’d like to use it in your context please feel free to contact me and I’ll email it to you as a document – it’s a great book to spread around institutional church contexts. Since the world launched into this current era of unprecented, rapid cultural change a half century ago, there have been Christians willing to experiement with new cultural models in order to better express the ancient Christian faith in today’s world. Motivated both by their own need for integrity and a deep desire to share the transforming love of God with those around them, these Christians are recognisable as prophets, missionaries, visionaries and mystics – calling us to a deeper commitment to Christ and to each other as Christ’s beloved. In current world Christianity, some of these experiments are known collectively as the Emerging Church. In The Hospitality of God, two ‘ordinary’ Anglican Bishops – one from the UK, one from the US, record their learnings from a “pilgrimage of grace” visiting 14 Anglican Emerging communities in those two countries. The result is some very interesting theological reflection and some wonderfully inspiring stories about ‘worship for a missional church‘. They reflect on the use of Scripture, Prayer, Music, Image, Ritual and a Theology of worship. Anglican Tradition has always tried to combine the ancient traditions of Christian faith with local, indigenous expressions of it. Our identity is primarily contained in a vernacular prayer book and a bible: lex orandi:lex credendi as theologians would say – the rule of prayer is the rule of belief. Understanding this particular dynamic is key to understanding why many in the Emerging Church movement are so comfortable in the Anglican tradition and see the freedom to grow something fresh and new out of it. Since our (not so) illustrious beginnings, Anglican liturgies have attempted to combine the ancient and ongoing Christian tradition with contemporary expressions of present and active faith, driven by the massive cultural upheavals of the 16th century. Bishops Gray-Reeves and Perham identify 2 cultural shifts in our time dominating the drive for liturgical renewal in the Emerging Church. The first is a changed perception of how authority works: Christians living out of a Postmodern cultural framework have a flat, relational view of hierarchy and authority. The Bishops’ coined the helpful phrase “indigenous authority” to describe the process whereby liturgy is received and adapted within an egalitarian framework. The whole community is involved in the process of creating the liturgy and interpreting it’s meaning (applying the tradition) because the locus of authority lies somewhere in the intersection between Scripture and other traditionally recognised sources of authority: Tradition, Reason and Experience. Interestingly, this is an excellent illustration of Archbishop Rowan William’s theological method – the continuity of the tradition is found in the ongoing intersection of the person of Christ with real people’s lives: “We constantly return to imagine the life of Jesus in a way that will help us to understand how it sets up a continuous pattern of human living before God” (On Christian Theology, ch.2). Theology is first and foremost a conversation. So too is liturgy. The second cultural change which the Emerging Church is striving to integrate with the ancient Christian faith is a radical inclusiveness in community. ‘Belonging comes before believing’ – and when it comes down to it, belonging even comes prior to expectations about behaving. Traditionally, Anglican spiritual formation has worked on a linear progression of the Christian person living their entire life under the banner of the Church, belonging was assumed! So whilst the Bishops argue that the belonging:behaving:believing order is revered in postmodern culture, I would argue that relationality has always come first but it is now necessarily a new connection. Nobody opens up their soul for a complete overhaul in unsafe company! How do we re-create community with those not yet in relationship with us in order to share the journey of Christian discipleship? One way most Emerging Church communities express the invitation to belong is to have an Open Table policy for Communion, seeing it as a missional invitation, not just a sign and statement of Christian commitment. It makes sense missionally, but what does it say about the meaning of Communion? The words of the eucharist are full of doctrine of the highest order, yet it also stands as a non-literary image and action which, to the congregation, may communicate something very different to that which was first intended in our prayer books. Liturgical theologian Graham Hughes argues that the historicity of our liturgy means that its signs and symbols were created in a cultural framework not our own. 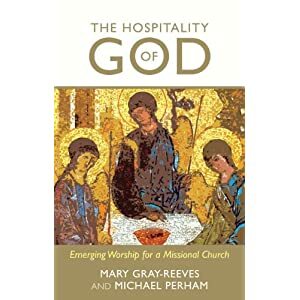 That leaves the majority of worshippers with a ‘meaning gap’ that they must broach with something that makes sense to them, from whatever set of possible meanings are available to them in their own experience of God (Liturgical Theology, ch.7). In our fragmented culture, it is safer to assume that worshippers will not close this gap in uniformally and worship leaders must now always grapple with this complexity. Emerging Churches welcome those who have painfully felt excluded by mainstream Traditional Churches. The planning and preparing for worship is as important as the event itself. Emerging Churches often include a time of ‘Open Space’ where there is freedom for individuals to direct their own engagement, acknowledging the individual journey at the same time as travelling together. Postmoderns are comfortable with multiple, simulateous stimuli hence there is a return to liturgical complexity. ‘New monastisticism’ reasserts the importance of a spiritual rhythm of life and everday missional living. This is the fourth of five sections (and 5 blogposts) of an MTh essay unpacking the problem of text in postmodern contexts for worship and the implications for the Liturgy Commission of the Anglican Church of Australia. It specifically reflects upon the Commission’s 2009 Alternative Service for Holy Communion. If you interested in this topic you might like to check out Brian Douglas’ website called Anglican Eucharistic Theology. It’s good. 2005 work by Cornelia Parker. you can find out about her through the EGS faculty page (click on photo). Sacramentality is another philosophical construct which is changing in postmodern consciousness. Kenan Osborne describes a ‘Twentieth-Century Legacy of Sacramental Revolution’ in which new philosophical perspectives, increased access to primary liturgical sources, and sociological upheavals are contributing to new paradigms of sacramentality. 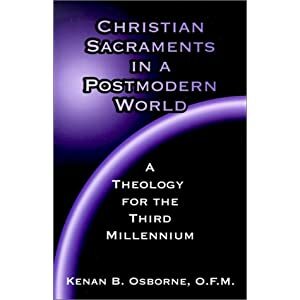 Postmodern persons embrace the notion of a sacramental universe and postmodern Christians are often more comfortable with the ambiguity of the Church’s teaching in sacramental form than they are with a dogmatic articulation of doctrine. In this, “there is a dual dimension to sacramentality – the unique revelatory event of God and the secondary response to human individuals – a sacramental event only takes place when this secondary response occurs. The human response is intrinsically temporal, intrinsically limited, intrinsically subjective, and intrinsically ipseite.”1 This suggests that there is more to come after the text is written. Brian Douglas and Terrence Lovat2 argue that the philosophical assumptions of sacramental theologies are key to understanding the present Australian debate on Anglican Eucharistic Liturgies. For his PhD thesis, Douglas analysed 160 Holy Communion texts from within the Anglican Tradition and demonstrated how one’s understanding of the eucharist differs depending on one’s semiotic understanding of the relationship between the outward symbol (the physical bread and wine) and its referent (the work of Christ). At the poles of semiotic philosophy there are two alternatives: either the sign has an actual connection to the reality behind it and therefore sign and referent are inextricable related (realism); or the sign has no actual connection to that which it refers and is merely a signpost which might be exchanged with other signposts (nominalism). Hence, two individuals with different semiotic assumptions will engage with the same liturgical text very differently. Douglas and Lovat argue that the debate over Holy Communion texts is hampered by ‘hermeneutic idealism.’ When a perspective places the semiotic assumption over and above the primary texts of Eucharistic theology, almost always unconscious of doing so, they elevate human philosophy above any possible divine revelation. When the philosophical bones are exposed, “the multiform system of Anglican eucharistic theology is seen to be composed on more than one lifeworld or technical or hermeneutic interest… [and no-one] should be allowed the privilege of being hermetically sealed within its own solipsism and so denied the potential for inter-subjective understanding.”3 In other words, we must allow conversation on the hermeneutics in order to pursue the truth of the primary texts. “Yet sacrament is a language event” says David Power, and the Holy Communion prayer must make sense of the connection between text and spiritual reality. For Power, this is possible through Christological emphasis on kenosis. As for Rowan Williams, noted above, the location of divine revelation is that where the life and stories of the believer intersect with the life of Christ. Because of this there will always be a plurality of sacramental expression, not because Christ varies, but because we who meet with Christ vary. In the 2009 liturgy illustrates this creativity in the deft handling of the question of Christ’s sacrifice. “As we share these holy gifts, we remember the Lord Jesus. This is the third of five sections (and 5 blogposts) of an MTh essay unpacking the problem of text in postmodern contexts for worship and the implications for the Liturgy Commission of the Anglican Church of Australia. It specifically reflects upon the Commission’s 2009 Alternative Service for Holy Communion. We come to a kind of workable starting point with language for liturgy when, as Catherine Pickstock says, we find a via media between total determinacy and total indeterminacy. “Our words remain always undefined until we actually use them, even though there is always something we know of a word’s meaning which enables us to use it in the first place.”2 The congregation’s experience of the liturgy is inextricably linked to the performance of the words not the words per se. With this in mind, the text of the 2009 Holy Communion Service can be viewed as a palette of texts from which worshippers can begin their inner liturgical journey. The provision of a text is about so much more than flat transmission of the apostolic testimony or ‘correct’ Anglican theology. Instead, the provision of an authorised liturgical rite could be helpfully viewed within Gordon Lathrop’s category of words as ‘things’ which are essential to the eucharist. An understanding of semiotics is key for the transmission of centrally authorised texts in a postmodern context. Plurality and ‘indigenous authenticity’ happens in the liturgy as event, rather than liturgy as text. “We come by the grace of the one God, creator of beauty, lover of justice. Blessed be God for ever. We pray in the name of the Lord Jesus Christ, one with us in sorrow and in joy. We are one in the Spirit who fills the Church, breath of life, making all things new. your Word teaches us and you feed us with your life. in whose name we pray. Amen. If we understand that every worshipper and worshipping community will be doing their own contextualisation of the text, does not retaining the ancient language, without cultural or linguistic translation, make us more alert to the semiotic work that needs to be done in every worship event? Using a ‘voice’ that belongs to a social context of no one in the present congregation, could potentially create a more egalitarian context. On the other hand, if the shared symbolic meaning of the words is not accessible enough there is opportunity for an educated minority to exercise significant power and control over the interpretation. This is the second of five sections (and 5 blogposts) of an MTh essay unpacking the problem of text in postmodern contexts for worship and the implications for the Liturgy Commission of the Anglican Church of Australia. It specifically reflects upon the Commission’s 2009 Alternative Service for Holy Communion. There are at least two complications in the transmission of a liturgical text in this new paridigm of authority. First, a postmodern Christian will resist any centralised, hierarchical insistence for activity or belief. This is not to say that a centralised liturgy is without purpose but rather the liturgy commission must begin to work with the fact that the text will be the beginning of a “conversation”5 with the local context. Bishop Mary Gray-Reeves from the USA and Bishop Michael Perham from UK went on a ‘pilgrimage of grace’ to fourteen ’emerging church’ communities and then reflected on lessons for mainstream Anglican worship. The coined a phrase ‘indigenous authenticity’ to describe how these postmodern expressions of worship worked with ancient and modern liturgies for local use. The congregations were very positive about the liturgies officially authorised by the church, but at the same time felt free to alter wording, pick and choose prayers, play with the order and experiment with the rubrics. Whilst this leads to wonderful creativity and local authenticity, it leaves the worship open to the possibility of weakened apostolic authenticity. How is Episcopal oversight exercised when deconstruction of texts is normative? The 2009 liturgy is written as a unity. The choice of informal theological language is consistent and the congregation glide along easily on the liturgical journey from gathering, hearing the Word of God, responding to the Word in prayer then sharing in the Holy Communion before being sent out into the world to live as God’s people. To select a single prayer or cut and change the order does alter the effect of the text as it was written and ‘approved.’ Whether or not these changes are helpful depends entirely upon the liturgical capacity of the local worship leader. Unless the deconstructed liturgy experienced by the local congregation is as carefully prepared as the original text, it is in danger of being diminished in some way – theologically, experientially or aesthetically. The creation of a self-conscious Holy Communion text for post-colonial Australia is profoundly complicated but no less important. As Kieran Flanagan notes in his study on Liturgy from a sociological perspective, “differing forms or styles of rite produce contrasting effects in the way the social is arranged to capture the holy.”7 The 2009 liturgy by the Liturgy Commission was an attempt at expressing the tradition in a ‘different voice’ – but whose voice is it? Whose story does this language exclude? How does it create a text that invites participation from different ethnic backgrounds? How does it create a text that connects to the land we now reside in yet acknowledges the multiplicity of lands from which we’ve come? In one sense, the clear scholarship undergirding the 2009 text, drawing upon liturgical resources much more ancient than the English prayer books addresses this concern. This is evident in the obvious absence of monarchical prayers but also in the shape of the service which follws a West Syrian model rather than that contained in the Book of Common Prayer. Perhaps this is as much as the liturgical authors can do at a textual level. This is the first of five sections (and 5 blogposts) of an MTh essay unpacking the problem of text in postmodern contexts for worship and the implications for the Liturgy Commission of the Anglican Church of Australia. It specifically reflects upon the Commission’s 2009 Alternative Service for Holy Communion. The greatest challenge for the Liturgy Commission of the Anglican Church in Australia is the incredible rate of change in the world. This is not merely an issue for styling the content of Anglican liturgies, it is a structural, institutional difficulty. The pathways for creative nurture and renewal of Sunday worship assume the adequacy of an institution whereby a cohesive identity may be created through the ministry of the Episcopate, supplemented by a committee system. However, this paradigm of authority is untenable to postmodern Christians and the good intentions of the Liturgy Commission are in danger of being completely lost. Whilst it is true that most present day Anglicans could not accurately be described as ‘postmodern persons,’ it is also true that our cultural context is inextricably linked to our life of faith and worship. It is a problem then, that the culture within which the Anglican Church of Australia is located, is well underway in its transition to a new paradigm. Hughes argues that “human beings construct their meanings (a meaningful world) from the meanings culturally available to them” and has illustrated this point convincingly in relation to the modern cultural context.1 Hence the Liturgy Commission have to come to terms with a potentially unknown gap between the world from which they are writing and the world in which the liturgy is received. I’ve just sent off my final essay for the Worship & Liturgy unit which, truth be told, was a labour of love (and embarrassingly late – sorry Gerard). The point of the assignment was to reflect on an element of worship, so I chose to reflect on the 2009 Alternative Service for Holy Communion published by the Liturgy Commission. The purpose of the Liturgy Commission is to bring life and energy into the Church’s worship but it feels like they don’t get to do much other than publish the occasional prayer on the General Synod website and in my experience is pretty much ignored. Really my original question was, ‘why the hell does anyone think that publishing a text is going to make a difference to the worshiping life of the contemporary church?’ Texts are so problematic in a fragmented world. It is the experience of connecting with God that transforms, not the words per se. This essay reflects on the problematical nature of creating a text for Anglican Holy Communion services in a postmodern cultural context. The viability of achieving liturgical renewal through the publication of a text by a centralised commission is challenged, as I consider questions of authority, language and the particular case of the Holy Communion sacrament. In conclusion, I suggest that the theoretical constructs of ‘lex orandi:lex credendi‘ and ‘deep structures‘ may provide a helpful way forward on the difficulties discussed in this essay. 2Anglican Church of Australia website. Another fascinating book raising important questions for the task of curating worship. A Postcolonial critique insists “that any discourse on the Christian faith must reckon with empire and the complex relationship of church and empire” (p.23). This goes beyond inculturation, or incarnational expressions of faith and worship. An uncritical appropriation of traditions ancient and contemporary dangerously embodies our own prejudices and superiority. The very definition of sin which I ‘grew up with’ as a Christian was ‘grabbing things for ourselves which do not belong to us’. 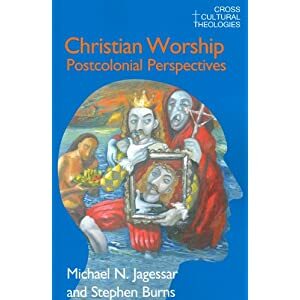 “A postcolonial scrutiny of liturgical/worship texts exposes the issues of the ideological and colonial agenda of western Christianity. It problematizes … the issues of language, imageries, symbols and representations in our liturgical/worship texts and symbols” (p.49). Australian Christians are most in danger of this as we engage with the stories and prayers of our First Australian brothers and sisters. How does someone elses’ story become joined with our story? At what point will Australian Christians share a common story that is beyond our migrant heritage? In our Anglican churches, the signs and the power of colonial symbols may be seen not only in the liturgical order. The Hebrew and Greek sources of our liturgy come to us already filtered through British culture and in the Book of Common Prayer, a wonderful Western and Christian inspiration, itself an example of a contextual theological process. Beyond the very order and the linguistic sources of our worship, even our clothing bears a witness to a colonial origin. In the vestments and trimming of the clergy, for example, on the bishop’s surplice, the sleeves finish up at the cuffs in the same way as those of the nobleman in the British court” (p.46). There are various possible practical responses to a postcolonial critique. Just being aware of the power issues in a text and ritual is a start. Allowing for conversation and plurality in meaning within the worship also helps to create an environment where we become aware of perspectives other than our own. In fact, where there is a healthy (loving) emphasis on individual experiences of those particular worshippers present within the one corporate worship event, the individualism ceases to be consumeristic and has the capacity to create the kind of inclusivity and we are after. I find this exciting and encouraging for our church as we exploring emerging worship models together. I liked this guy’s methodology in developing a theology of worship in a postmodern cultural context. 5. A Critique of the Onto-Theological Presuppositions of Classical Sacramental Theology and an overcoming of Onto-Theological Thought (The connection between the ‘sign’ and it’s real referent (that which the sign refers too) is way more complex than Western Thought has previously allowed.) If this technical language means something to you and you want to read more, check out Louis-Marie Chauvet’s postmodern critique of Thomistic Theology. Here’s a review of Chauvet’s book on the Sacraments. “To invoke the issues of ‘divine revelation’ or of ‘divine authority’ avoids the very challenge [of subjectivity] itself and misses the precise area of the challenge. Postmodern thinkers in large measure do not focus on the divine aspect, the God aspect. Rather, there is a clear focus on human receptivity, human intellection, and human communicativeness. Theological and magisterial sacramental statements, on every level, have been made within a certain episteme. What is challenged today is the episteme that was used and is still being used in the formulation of such theological and magisterial statements. My ‘take away’ challenge – let’s be clearer about what is human and what is divine, lest we worship a god in our own image. 1. Worship is always an interaction with culture. 2. Most of ‘primary sources’ for Christian worship were created in a world which is now foreign to us, which leaves us with a ‘meaning gap’ between the original intention and how we might make it meaningful to us. “How shall modern worshippers comprehend (‘grasp together’ into a meaningful whole) the world of meanings irreducibly part of a worship service and the world in which these same worshippers must negotiate the joys and perils of being human”. 3. Frequently the creators of liturgy/worship don’t notice the gap because they have been thoroughly schooled in an ancient mindset through their theological and church education. Liturgical Theologians have spent a lot of time on ‘liturgical renewal’ in the past century but it has been an exercise largely confined within itself, even though it might be motivated by context issues. The biggest gain through this movement is in the construction of a thorough history of liturgical sources which are yet to be thoroughly engaged with questions of postmodern culture. Mainline Protestantism is dominated by a positive view of human culture and theologically preoccupied with the Immanent dimension of God. The difficulty is that in the quest for relevance God becomes too small and ‘ordinariness’ is easily misrepresented as sacred. Protestantism is inextricably Modern and therefore subject to the same decline at the end of the Modern cultural period. And so what does Hughes conclude about the task of curating worship after this analysis? a. How does the charismatic renewal movement fit into this? At what point does the Spirit just do what the Spirit does, over and above culture? b. How does the emerging movement fit into this? There are some parts of the emerging worship that are adolescent reactions to Modern religion, but there are other mature expressions of worship which are a genuine attempt at Postmodern ways of being. You can read the preview of Hughe’s book, including this particular chapter on Google Books. In late August – early September 2011 I spent a month in England exploring contextual worship and community, art and spirituality. During this time I blogged about my experiences of worship in transitional contexts. This included 3 days at the Greenbelt Christian Art, Justice and Spirituality Festival, where the worship events I went to were entirely of temporary construction. For most of the rest of the trip there were events where I was a minority transitory worshipper – a visitor. But then there were also big cathedrals where the majority of the congregation were transitory – a cohort of pilgrims. A semiotic understanding of liturgy is absolutely critical to understanding worship in transitional contexts. What made worship work in a transitory context? There are two elements I think need to be satisfied in a ‘successful’ Christian worship event. First, the Mysterious God of the Universe is Revealed – thinking here of Karl Barth’s understanding that we know nothing at all about God unless God in God’s Self makes the initiative in Revelation. The Word of God therefore must be recognisably presented in some way. The second criteria for a ‘successful’ Christian worship is that there must be genuine connection with human souls – thinking here in rather generic terms of a psycho-dynamic definition of soul as the centre of a human person. The place within the human person where the Spirit indwells and the Self is known. I noticed three things that made a difference to the success of the worship event, thus defined. Even when the congregation was temporary, relationality is still essential. Establishing the ground rules for the relationships of a crowd are critical to the creation of a ‘safe place’ for worshippers. Deep engagement with one’s soul is not possible in the presence of others if this relationality is not in place. This is often down to careful management of the ‘welcome’. In every event I was greeted by a person whose role was to direct me from being a stranger at the door to a member of the community gathering for worship. I needed enough instructions to be able to know what was expected, these expectations needed to be confirmed by the unspoken relational dynamics once I had entered the room. I needed a moment of genuine connection where I was ‘seen’ and acknowledged as a person by the warmth of a person’s smile, eye contact or hand shake. Two examples stand out and in both cases I very quickly fell into deep prayerfulness at the start of the liturgy. The first was at Moot which started with coffee and informal chat. The second was at Holy Trinity Brompton where I was smiled at and spoken to by 4 people directing my path along a complicated route to the front door. Further to this, the transitional context draws attention to the nature of the congregation as a liturgical symbol. When Lathrop talks about the ‘Things’ of worship he conceives of the congregation in this way – people are one of the ‘things’ required for worship to take place. As such, establishing the nature and structure of the congregational relationships becomes an exercise in semiotics – giving meaning to the symbol. The relationships need defining in order for us to play our part – are we participants or spectators; are we fellow human beings adrift in a meaningless universe or are we fellow Christians with a shared experience and understanding of God. A second element I noticed, which was particularly important for those transitional worship contexts with a temporary community, is the need to concentrate on the transcendent. What unites a diffuse group of people together? For worship – they come to engage with God, either consciously or unconsciously. Even when a person is seeking the divine unconsciously, by focusing on the human dynamic of a community in worship, it is the intrusion of the Divine which makes such experiences powerful. Hence, for worship in a transitional context to be effective, it must give special attention to God in the liturgy, over and above the human elements. The Sunday Communion Service at Greenbelt was a particular example of this not happening adequately. St Paul’s Cathedral on the other hand did it very successfully by working with the power of it’s architecture. In Bernard Lonergan’s conversion theology, he distinguishes between different levels or forms of conversion within the human person – intellectual, moral and religious. We may be convinced or converted by rationality, and then at a deeper level become motivated to change our behaviour, but it is at the very deepest level of human consciousness that religious conversion takes place – the experience of transcending one’s self into something beyond, bigger, mysterious and wonderful. Lonergan describes this process using the analogy of falling in love. A Being-in-Love is someone who has encountered themselves in an Other. In transitional worship there is no time for a slowly evolving romance, where the worshipper and God might spend time getting to know each other (intellectual conversion) and gradually spend more and more time doing things together (moral conversion). If there is to be transformative engagement with God it must be love at first sight! Finally, during my UK trip I paid special attention to the place of art and beauty in creating tranformative moments. It seemed to me that those two words may helpfully point to different aesthetic experiences. In general, beauty seems to have the effect on the human soul of comforting, calming and soothing. Art often takes a role of confronting, questioning, challenging. In the context of worship, both are useful. Beauty creates a safe space where God may be encountered, where worshippers are invited to relax into the moment and become vulnerable. Art on the other hand, is powerful to communicate something about the Transcendent God or God’s challenge for our lives – often an experience that is not comfortable. Art takes us beyond the everyday, even in the very act of engaging with the everyday and ordinary. When DeClerk discusses the adage lex orandi:lex credendi he comments that application of this as avatar becomes problematic in a time of transition. The symoblic nature of liturgy means that its meaning always requires application, and as Hughes emphasises, human beings can only make meaning from those meanings that are available to them. When worship takes place in a transitional context, the possibility of multiple interpretations of the liturgy is high. In the current cultural epoch of post-modernism (itself a transitional culture) this ambiguity or plurality to meaning is embraced. Theologically this is seen as reclaiming the mystery of God who cannot be contained in any single human construct or any single definition of the Revealed Word of God. Again here is the importance of understanding semiotic meaning in transitional contexts – it is essential for both a theological and a psycho-spiritual understanding of what is happening in the liturgy. 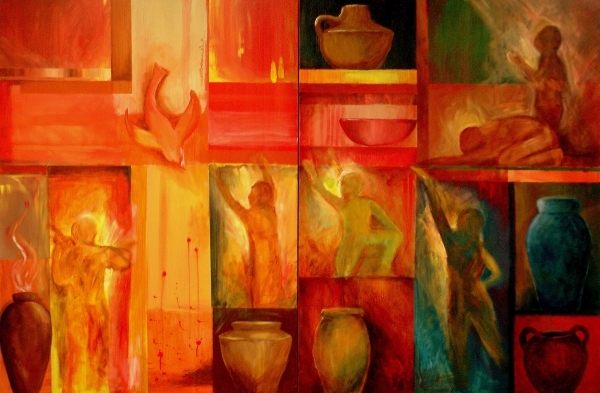 Hence, because of their semiotic capacity, art and beauty have become essential elements in liturgy for post-modern Christians – be that forms of ‘alternative worship’ or recovery of ancient practices. De Clerck, Paul ‘“Lex orandi, lex credendi”: The Original Sense and Historical Avatars of an Equivocal Adage.’ In Studia Liturgia 24 (1994) 178-200. Hughes, G. ‘Liturgical Theology.’ In Worship as Meaning: A Liturgical Theology for Late Modernity (Cambridge: Cambridge University Press, 2003) 219-254. Lathrop, G. W. ‘Things.’ In Holy Things: A Liturgical Theology (Minneapolis: Fortress Press,1993) 87-115.